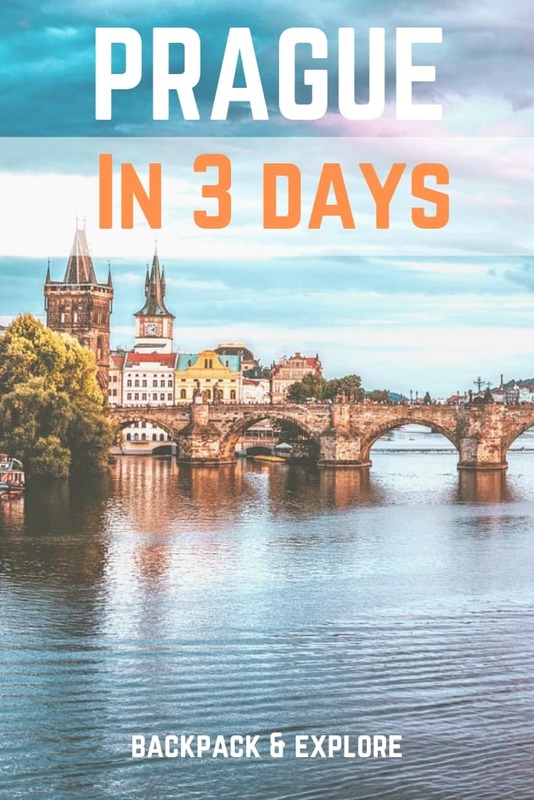 Three days in Prague is a travelogue written by my friend Suvajit as a part of our guest post series. This is a perfect itinerary if you are going to Prague for the first time and want to experience the best of Prague in a short time. You can view his profile at the end of the post. Today I take to writing blogs to share some of my fascinating experiences from traveling across the world. I’m a staunch believer in the magical words of J.K. Rowling as she once put it, “Words are, in my not-so-humble opinion, our most inexhaustible source of magic. Capable of both inflicting injury, and remedying it.” Well, the trip to Prague was magical. Let’s see if I can make you voyage along the Bohemian capital as I flip through the pages of my memory book. 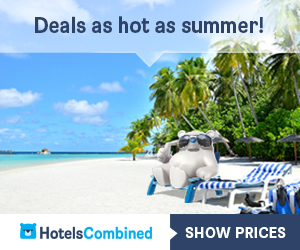 Check out all options for accommodation on Hotels Combined or Booking. Check out the best party hostels in Prague. I had a morning flight from Barcelona to Prague airport on 6th October. I got myself a 3-day unlimited travel pass for 110 Kč (Czech crowns or Koruna) from the airport. I boarded the airport bus to reach the nearest metro station. The metro took me to Staroměstské Náměstí, the closest station to the Old Town Square. Well, the map did prove to be quite handy with my mobile crying for a recharge. It was nearly sundown and I met my folks and parked myself in the hostel. Prague Square Hostel had WiFi and breakfast included in the package. The breakfast included a pick from the assorted cold-cut sandwiches, juice, tea, and coffee. The staff at the hostel was very helpful with all the queries that we bombarded her with. Depending on your preference, Prague Square Hostel provides private rooms, mixed dorms, and female-only dorms. All are reasonably priced. It didn’t take more than half an hour for us to get ready and hit the road. And we were back at Old Town Square again. The place was buzzing with people from a varied ethnicity. We quickly took a few snaps as it was drizzling incessantly. We had the place all figured out and headed for our first ever encounter with Absinthe! The nearest Absintherie took us 5 mins walk. For those unacquainted with the concept, Absintherie is a classic little bar known for serving all variants of Absinthe, booze with as much as 80% alcohol concentration. This is how the Absintherie greeted us! If you fancy “shooters”, beware! It might as well burn your throat. There are unique techniques to consume Absinthe and you better follow the rules of the game or end up even hallucinating. The barman was kind enough to “educate” us on the massive variety displayed on the menu. We tried Absinthe Beetle, Roquette, and a few more cocktails. The classic Roquette was served in a unique apparatus shown in this video. Overall, the experience was pretty exquisite without hurting the pockets much. We left the Absintherie to explore some of the residential quarters surrounding the Old Town Square. Pretty old structures lay in front of us as we roamed around till Charles Bridge, but hunger struck! To our disbelief, we saw nearly all restaurants around closed and we were literally starving. Guess what! Half the city dozed off at 8 pm. We rushed our tired legs near the hostel to find the Zebra Asian Noodle Bar yet to shut the door. We gobbled on some starters and noodles and left hurryingly for the hostel only to call it a day. I’ll start off Day 2 with a bit of a history lesson! Oh yes, there would be quite a few snippets of them as Prague has quite a rich history. Prague (or Praha in Czech) is the capital of Czech Republic (please defer from using Czechoslovakia as it split into 2 forming the Czech Republic and Slovakia in 1993, and the Czechs consider the term as bygone). I started the day early with a ham sandwich and juice and headed alone for the city tour at the designated location near Old Town Square. I met my tour guide and the rest of the group (look for the yellow umbrella near the Swarovski store). You would see plenty of tourist groups led by guides well versed in different languages. We were around 10-12 in the tour with people from Australia, the United States, Spain, and Pakistan. We started off with the Astronomical Clock right at the heart of Old Town Square. As did the guide say, it is one of the big ugly most overrated architectures to see in Prague. There are 4 flanking figures around the clock that represent 4 despised elements – vanity, greed, death, and lust. We continued our exploration of the city through monuments and historical buildings. Among notable ones, we witnessed the Dancing House and Prague Museum. We got introduced to the infamous acts of defenestration (a process where a person/adversary is thrown out of the window resulting in death) in Prague’s history, which fueled 2 wars. As we marched towards the famous Vltava river another intriguing story emerged amidst the scenic beauty and river cruise. During a massive flood in 2002, the Prague Zoological Garden got affected. A brown fur seal named Gaston swam 300 kilometers from Prague to Dresden (in Germany) before he was tracked and rescued only to die due to exhaustion and infection. In memory of Gaston’s heroics, a statue has been built in the Prague Zoo. “Jedno pivo, prosím. (one beer please)” – this is what you need to say if you walk into a local bar to have one of the finest Czech beers. Yes, we had a couple of finest beers to quench our thirst midway. Quiz time! What’s the nationality of Budweiser beer that we often fancy? Before you start scratching your head, it was brewed first by the Czech. If there is one thing that the Czech are proud of, it is their beer. We went ahead on our journey and witnessed another historical landmark, the Jewish quarters of Prague. Marred by the German oppression, the holocaust certainly left its mark in the Jewish quarter. Such was the extent of horror, the Jewish dead bodies were stacked one on top of another due to lack of burial space. In spaces, you would also encounter the famous Franz Kafka statue. We walked to the Estates Theatre, our last stop before we were supposed to disembark. Now here’s the fascinating fact about this remarkable place. Two of Wolfgang Amadeus Mozart’s operas were premiered in this theatre including the famous Don Giovanni, which earned him 30 minutes of standing ovation by the audience, on record. Our guide also gave us some valuable insights into the people and culture of Prague. The city has been through a series of violence by the Germans during the second world war and then the communist regimes following it. Decades and decades of oppression have made the residents of Prague tough and probably a little less courteous if you are used to traditional greet from the waiter at a restaurant. As the city tour finished, I met with the rest of the gang and munched on some chimney cakes from a local store. We had to cover the Prague Castle and it was nearly sundown. So we rushed towards Charles Bridge and crossed it to enter the other side of the city across Vltava river. Prague Castle really amazed us with its grandeur. But the royal garden really stood apart among all. If you are planning to get selfies captured, this is destination X. We weren’t ready to call it a day, however. For me, it was the best for the last – the Lennon Wall. After quite an effort in figuring out a mode of transport, we reached the most awaited part of the trip. Prague Castle – Grandeur redefined! “Count your age by friends, not years. Count your life by smiles, not tears.” – said the maestro. And every moment of a shiver at 10 degrees was worth it. Incessant drizzles and the emanating petrichor really made us hungry. This time we had planned for the authentic Czech cuisine @U Dvou Sester Restaurace back in Old Town Square. I had one of the best pork knuckles over there. Time for the nightlife! We decided to spend the remainder of the night dancing in a nightclub. And Double Trouble was at a stone throw distance. Little do I remember on the countless jagerbombs I gulped after that. We had to explore the best zoological garden in Europe, especially after listening to the Gaston heroics. Whatever limited time we had for the day, we thought of investing in the massive home to flora and fauna. It took us as much as 3 hours to complete the entire zoo. Among everything, the penguins, salamanders, polar bear and seals caught my eyes. We had to make our way back quickly. The train to Berlin was timed correctly and we rushed to explore the next chapter. 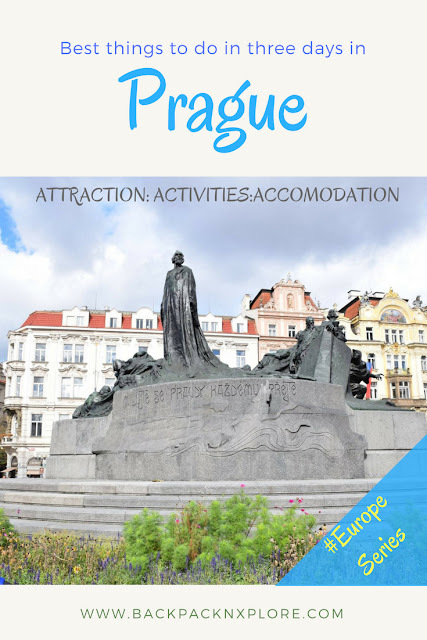 Hope you liked this Prague itinerary for 3 days. I haven’t ventured into Central Europe yet, but this certainly inspires me to do so. What about you? Share your thoughts in comments. Liked the post? Save it to Pinterest using the image below and share it with your friends. Subscribe to my blog to be notified of new travelogues and detailed travel guides every week. Don’t worry about spam, with my full-time job and travels, I cannot send you more than 1 mail a week. You can also follow me on Facebook and Instagram for your daily dose of wanderlust. The post has affiliate links for accommodation. What’s that? We get a small commission if you book your accommodation through these links WITHOUT any additional cost to you. What an awesome post! This is becoming my fav travel blog now! Thanks for all the tips for a trip to Prague! And fab pics to accompany it! Very interesting post. Prague seems colourful and intriguing. Very nice coverage and pics. Such beautiful pics of Prague, enticing enough to make one mark this in one's travel bucket list. Thanks for the tip about 3 day travel pass. I'm gonna get it too! Indeed Prague is a historical masterpiece city! Great article. Prague is amazing we were there last year for a week and enjoyed all the sights and sounds of this beautiful city. The views from the Castle are amazing. Just wander around the back streets of the Old Town and get lost.